As if the RXV4 RF didn't already impress, we amped up the exclusivity and created a model only available in North America - the RSV4 RF Limited Edition. Donning graphics that celebrate Aprilia history and Italian passion, the RSV4 RF LE arrives with winglets - the first production superbike to do so - and the unit number laser inscribed on the steering plate. All else is pure RSV4 RF performance, which in its latest edition is a second faster than before, thanks to the new Ohlins suspension, a Brembo braking system, and the new APRc electronic controls package that includes cornering ABS and clutchless downshifts. 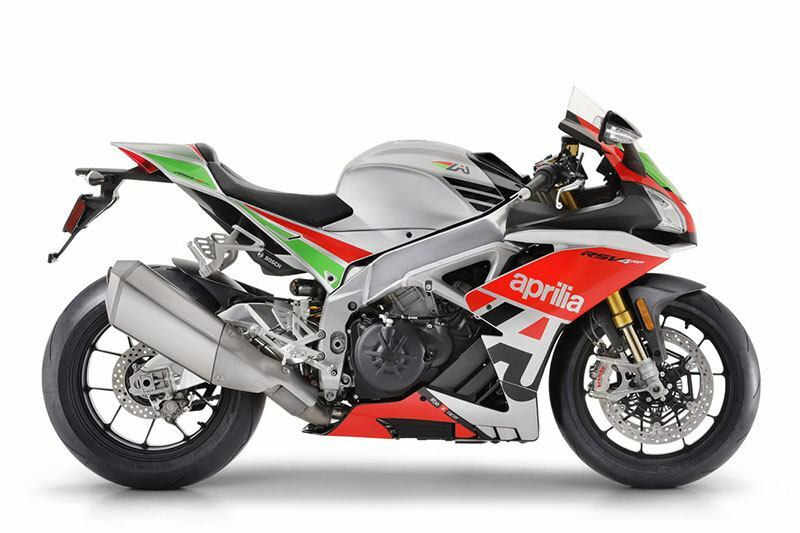 The 201 horsepower V4 powerplant is paired with chassis architecture worthy of seven World Superbike titles, the RSV4 RF LE creating performance like no other. LIMITED TO 100: What we did was simple. We took the already popular RSV4 RF, with its V4-MP multimedia and Ohlins Racing suspension, and created a super exclusive platform for Aprilia enthusiasts. 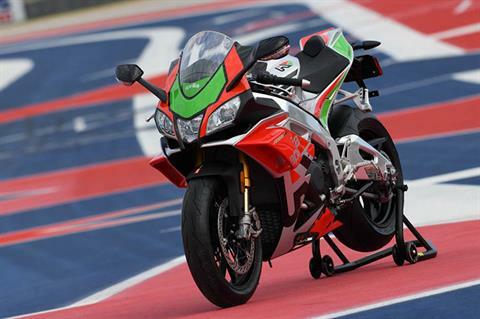 Limited to 100 in the USA, the RSV4 RF LE is the first production superbike to arrive with winglets - aerodynamic spoilers designed on the Moto GP RS-GP prototypes ridden by Aprilia Gresini Team pilots Aleix Espargaro and Scott Redding. Due to the MotoGP influence, what better place to launch the bike than Austin's Circuit of the Americas during round three of the 2018 MotoGP Championship? The RSV4 RF LE was the center of attraction at Aprilia's setup at COTA, and this attention will continue for each new exclusive owner. 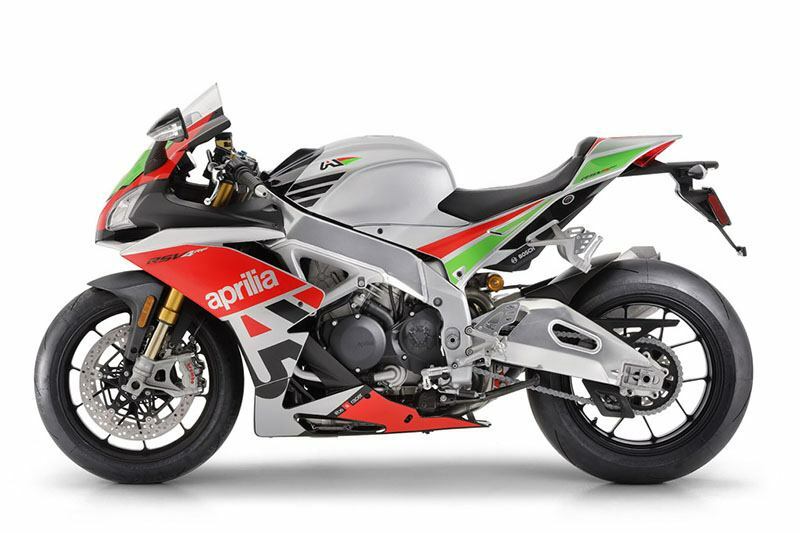 65° V4 - UNRIVALED POWER IN LIMITED EDITION BODY: Born out of the soul of Noale, the Aprilia RSV4 RF LE's Euro 4 engine produces 201 horsepower - 16 more than its predecessor - and was designed by the Aprilia Racing Department, the same group that built the FIM World SBK Championship winning RSV4s. 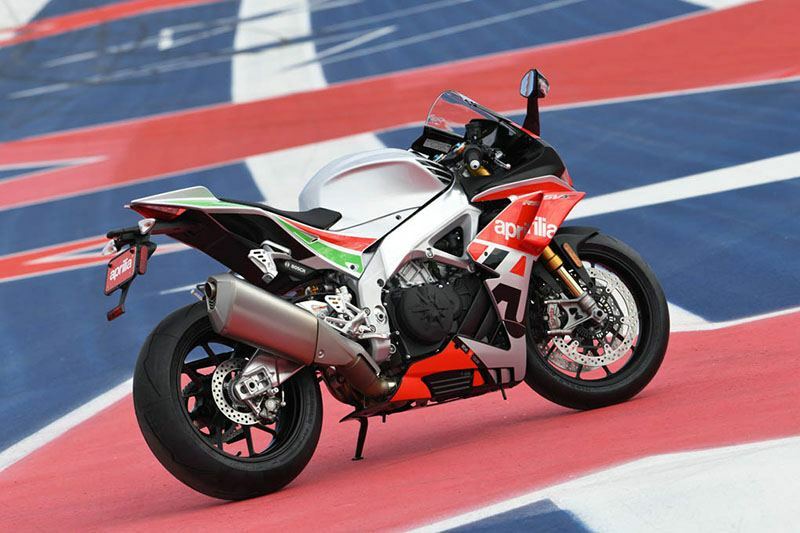 The unique characteristics of the RSV4, including its narrow V4 engine, remains unchanged. When something works this well, why mess with it? 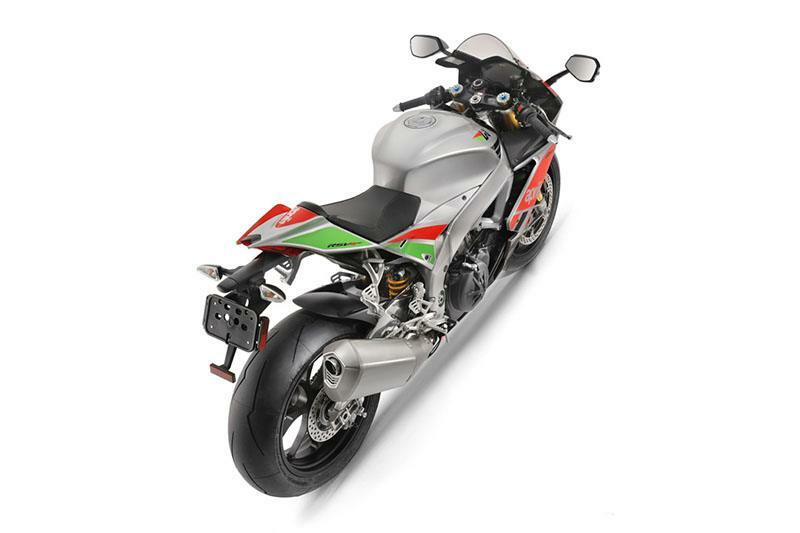 The RSV4 was the first full-scale production motorcycle to arrive with the narrow V4, providing many more advantages over a simple V-Twin or Inline-Four design. It is also the more powerful and revolutionary engine to arrive out of Noale. The other huge benefits of the RSV4's engine design is its natural light weight, and its ability to perfectly pair with the superbike frame and the latest in Aprilia electronics. 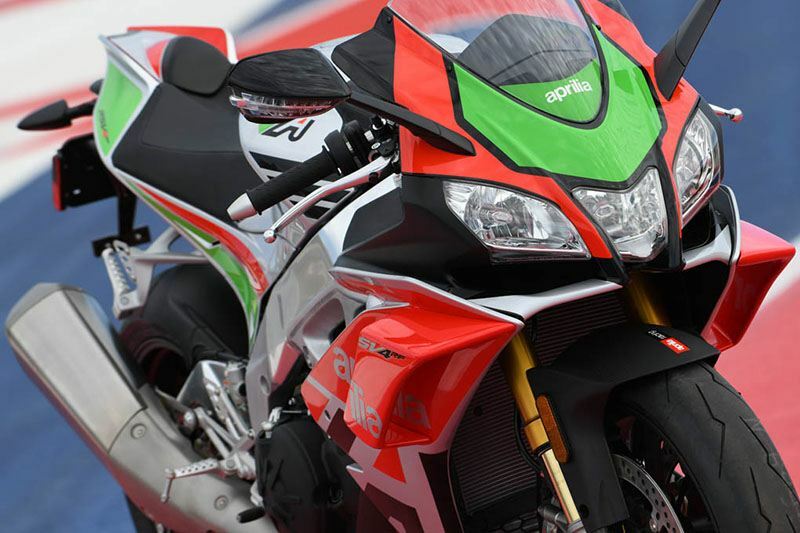 SUPERBIKE FRAME WITH THE ADJUSTABILITY OF A TRUE RACER: Savory Italian looks, but also the best handling in the world of high performance motorcycles. Aprilia's ability to create one of the best chassis for superbike performance is exactly what helps its dominance in the FIM World Superbike Championship. One particular of chassis design that arrives on the RSV4 RF LE is the multiple adjustments directly from the factory. 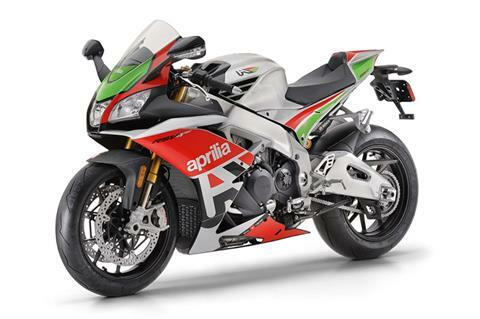 Aprilia features the only superbike chassis that allows the rider to adjust the engine position in the frame, and change the headstock angle, the swingarm pivot, and the rear end height. These chassis adjustments are paired with fully adjustable Ohlins suspension, of course. 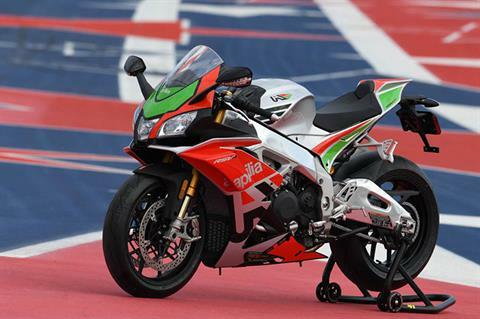 All these elements combine to create a real racing motorcycle. 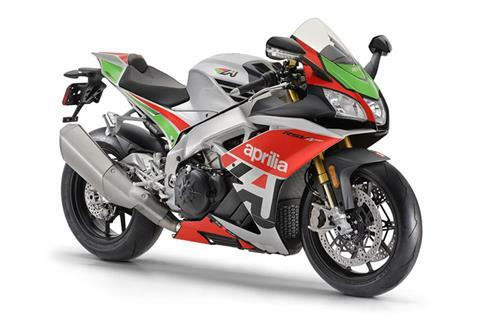 The RSV4 RF LE's sophisticated suspension systems allow for fine adjustments both in hydraulics and spring preload. The bike features the latest generation Ohlins NIX fork unit and TIX shock absorber, the latter is operated by new progressive linkage that increases the reaction time of the shock absorber itself. There is also an adjustable steering damper, also supplied by Ohlins. 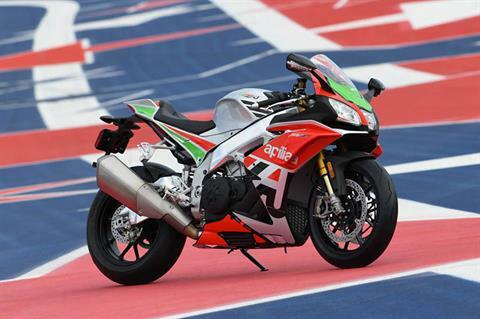 On the new RSV4, Aprilia introduces important changes in the Brembo braking system: the front relies on a pair of new 5 mm thick steel discs with diameter increased to 330 mm, which are gripped by monobloc M50 calipers filled with new superior friction coefficient brake pads. Front - 330 mm floating double disc with aluminum carrier. Brembo M50 4-piston mono-block radial calipers. Radial front master cylinder and steel braided brake lines. C-ABS Bosch 9.1MP, de-selectable, adjustable to 3 mappings, with RLM (Rear wheel Lift-up Mitigation) strategy. Rear - Öhlins TTX 36 single shock absorber with remote reservoir, adjustable spring preload, independently adjustable compression and rebound, progressive linkage.